Offshore Turbine Services are pleased to report that in conjunction with Seazip Offshore Service BV, they are providing a CTV (Lieutenant P) for the construction of the Tahkoluoto Offshore Wind Farm in Finland. This is the first collaboration between both companies and is proving to be highly successful as they both operate in same quality and health and safety focused way. Initially the vessel worked for the foundation installation contractor, supporting the marine civils aspect of the construction phase but once that was completed, the wind farm owners, took the opportunity to place the vessel on hire to assist with the next phase of the construction supporting the turbine manufacturer techs on site. The Offshore Turbine Service vessels are particularly suited for this close inshore, shallow draft working as they use Rolls Royce jets for propulsion. The vessels are also very fuel efficient and their moveable wheelhouses allow them to be configured for a variety of tasks including generator refuelling, blade inspection and repair and marine civils work support. The vessels are also very reliable with an over 99% on contract availability statistic. SeaZip Offshore Services is the commercial manager of the 6 Damen Twin Axe CTV’s owned by the company and also acts as commercial manager for third party vessel owners who see the benefits of collaboration to offer a diversified, efficient multi vessel solution to the wind energy, oil and gas and marine civils markets. On this occasion, the company had a good route into the Finnish market due to its JR Shipping fleet and trade lines. SeaZip believe in combining quality of network, the right vessel and approaching the market with the best solution for the project in hand and in Finland, OTS ticked the boxes required and both companies are looking forward to working together in the future. 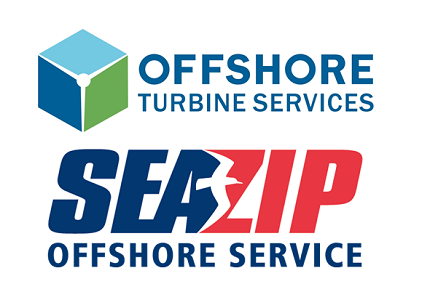 SeaZip Offshore Services has offices in Harlingen, the Netherlands and Lowestoft in the UK where OTS are based in Brixham on the South Coast. If you would like to know more about the technical details and availability of our offshore service vessels as well as others including Lieutenant P, please contact us to get quick access to all relevant information on +31 (0)517 – 431 225 or info@seazip.com or sign up by using the form below for the weekly updated fleet availability list. Your data is not stored for any other purpose.